"We get access to all of the historical content as well as all the new content developed. The beauty of the Star Wars franchise is it's almost unlimited in what you can do with it. We know Disney has done a great job with other franchises and we believe they'll do the same with Star Wars over time in delivering new worlds, new characters, new vehicles, all the things that make great video games. Our goal is not to make video games directly about the movies, it's to use the IP in the movie to make great, exciting games." It certainly is interesting that the prospect of another Battlefront game is already on the table just as the current game is being released. 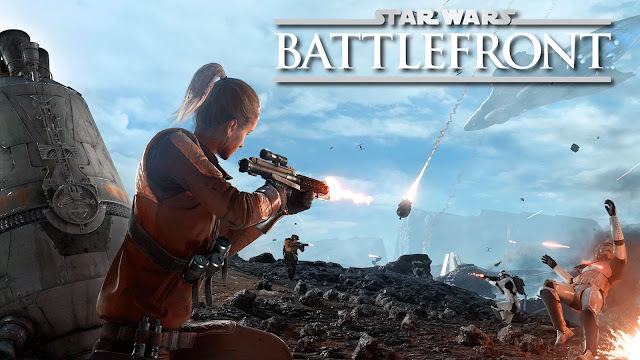 I'm intrigued to see what kind of ideas EA has and what other elements could be included in future Battlefront. Hopefully we will see some of the things the current Battlefront curiously lacks, such as space battles, content from eras outside the Original Trilogy and more story driven gameplay. Whatever they've got in store for us, I can't wait to play it! I want a single player game, something like Star Wars 1313.
i wanna fight on Mustafar. If they had all that access to content, why didn't they put it in the game? Here here!!! I give this post an update!! @dave birins because is called DLC that came in season pass that cost 50 bucks. That why I hate EA.